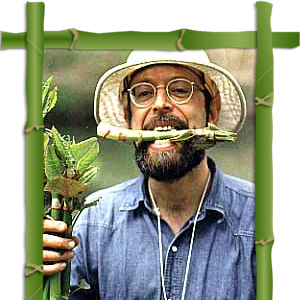 Naturalist-Author “”Wildman”” Steve Brill has been leading foraging tours in parks throughout the Greater NY area since 1982, for the public, for schools, libraries, parks departments, day camps, scouting groups, teaching farms, museums, environmental organizations, and more. His Identifying and Harvesting Edible and Medicinal Plants in Wild (and Not-So-Wild) Places (William Morrow Publishers, 1994) is considered a classic on the subject. His innovative Wild Vegan Cookbook (Harvard Common Press, April, 2002) is changing the way people think of preparing gourmet food. His Shoots and Greens of Early Spring in Northeastern North America (self-published 1986, revised 2008) teaches people how the foraging season begins. His Foraging With the “”Wildman”” DVD shows people how it’s all done, and his Wild Edibles Forage app includes everything he knows about edible wild plants. But he’s still best known for having been handcuffed and arrested by undercover park rangers for eating a dandelion in Central Park! And on his return to Ossining again for this year’s Earth Day Festival, Wildman Bill will be offering two Foraging Tours at Crawbuckie Preserve. ← Composter & Rain Barrel Pre-Season 50% Off Offer until April 24th!